I like themes, so this is another one. I have never been to Kyushu (far west Japan) and this would be my first time. I had contacted Nishioka-san to see his availability. I had not seen him since 2016 Hamamatsu meeting. Nearby to Kyushu is Yamaguchi. I had notified Taguchi family (we met last year in Yanai) and I would like to meet with him again. I told him I would be based in Fukuoka for 2 days. By Shinkansen, it would take 50 minutes to reach Yamaguchi. Initially, we were suppose to have brunch, but I scheduling would be off as I had to try to make a few time slots work. Nishioka-san was in Kumamoto, which by Shinkansen 40 minutes. Additionally, I wanted to meet up with 2 other friends. Shooting star owns an F30 Leopard and 1104Racing owns a Crazy Long nose F31 Leopard. Being the Leopard line, I was naturally intrigued by the styles. As for both, I have not seen in person. 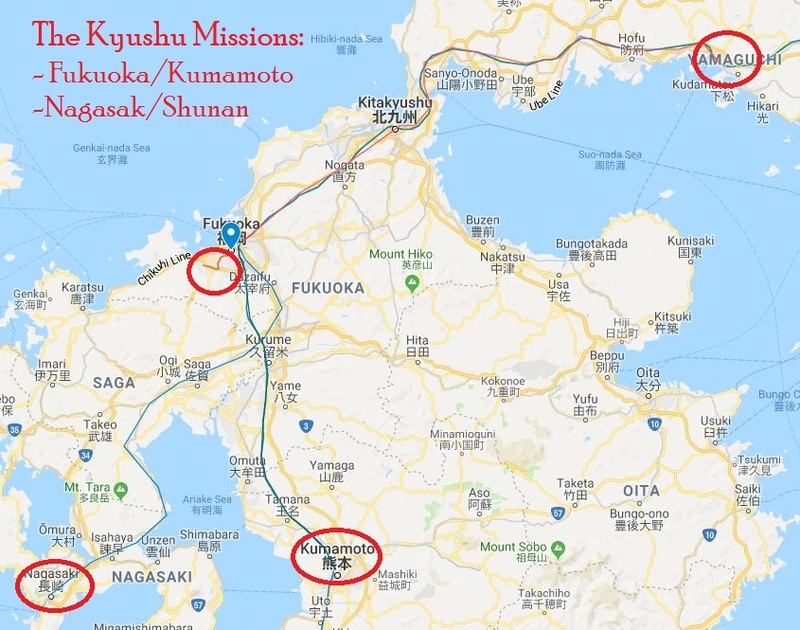 When I started to plan, I wanted to be central and by a station that was had Shinkansen (For Kumamoto and Shunan), but also Express train to Nagasaki. While Hakata station was initially the place I was gonna stay by, I realized that Tenjin wasn’t too far and hotel was near that (Tenjin station is 5 min by subway). Monday – Visit Shooting Star (Fukuoka) in the morning/noon. In the evening, take the Shinkansen to Kumamoto and meet with Nishioka-san. Tuesday – Visit 1104racing in Nagasaki in the morning (2 hours to get to Nagasaki + going back), then meet Taguchi family in the evening for dinner. While it worked out, in retrospect, It could have been better planned. Initially, Taguchi family said brunch. If I would have switched meeting with 1104racing, I would have had more time in the evening. The catch was, once I met with 1104racing, I didn’t know his leopard was 2 hours away from Nagasaki city, additionally, he said that after 9pm, he could get more cars out. Had I known those factors, I would have switched. Nagasaki was far and there was not Shinkansen, with 2 hour to get there and back (Express train), it limited my time there. But with all meet ups, I set up to build upon for next time. Now I know how to get to Nagasaki and how much time I can allot. The central location of Fukuoka was pretty good. I’ve already started to plan for my next time there. As I plan on visiting Kagoshima next time around. This entry was posted in blog, wandering leopard and tagged 1104racing, Kyushu, shooting star.